First of all, youtube audio will not do this amazing machine justice. This is by far one of the best sounding all in one packages ever conceived. Here's a cool demo song from the new Spectralis 2 utilizing samples, analog synths and a killer filterbank. Available now! More videos coming soon. Thanks for watching. Some Special 4ms Pedals Are On Their Way! 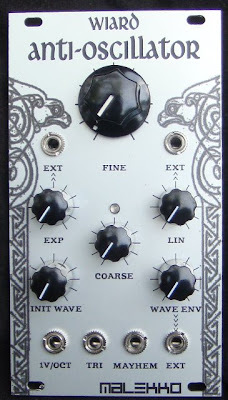 Here's the awesome sounding 4ms Phaseur Moire pedal. We're running a super fat Cwejman VCO-6 square wave into it. 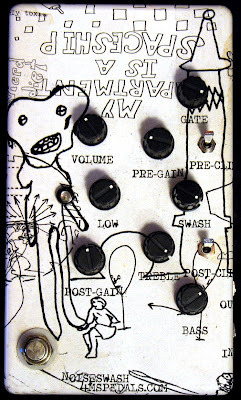 This phaser has three total LFO's for modulation. The main one in the middle, and auxiliary A on the left and auxiliary B that modifies the center LFO speed on the right. This can yield some interesting results. There are also controls for main LFO speed, Height, Depth, Wave, Blend, Ring, Aux A Speed, Aux A Depth, Aux B Speed, and Aux B Depth. The artwork is awesome too! We're super excited for this one! FM madness! It should be available mid to late August. Pre-order coming soon. This is the working prototype and Josh Holley of Malekko says it may be his favorite so far! BCM's protoype - production should start soon! It makes one big picture! Via 4mspedals.com. 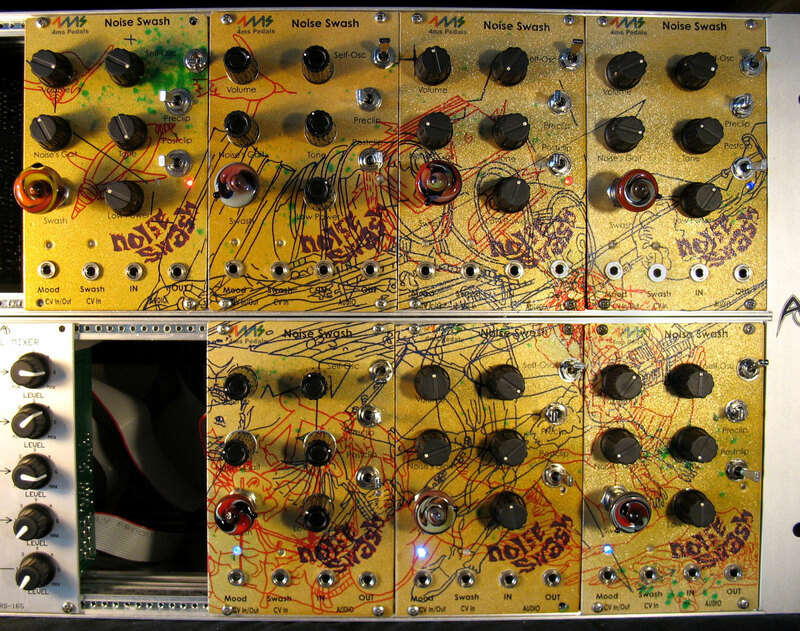 This is one of the craziest Eurorack modules ever. 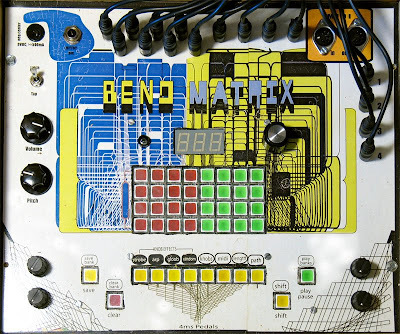 With CV control over sample rate, bit rate and the super-cool wavetable function, this thing is a monster! 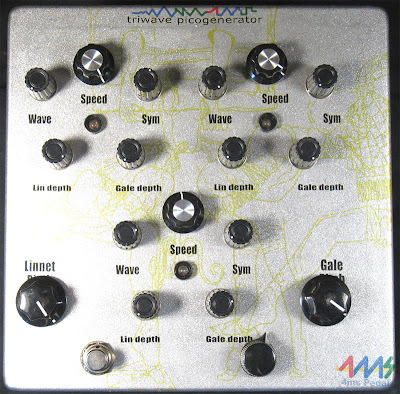 We're using a Cwejman squarewave oscillator and a Plan B Elf LFO to modulate the sample rate and wavetable. There's a CV amount control for all three CV inputs as well as a knob for gain/distortion amount. 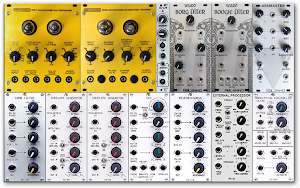 These little tiny knobs are awesome too! 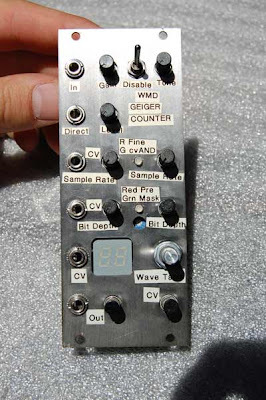 The WMD Geiger Counter eurorack module is under construction! (or destruction!) Look at all the CV inputs. Whew! This is a working prototype. Video soon!